Information systems relate to diverse applications, but, until recently, the use of this technology in agriculture and environment has been relatively behind the applications in the industrial sector. The publication of IJAEIS started in 2010 in order to promote the new research advances in information systems applied to agriculture and environment. This paper presents an overview of the different scientific issues presented in the 50 papers published in IJAEIS between 2010 and 2013. The authors summarize the different contributions presented in IJAEIS and the authors identify the main trends in the field of agricultural and environmental information systems (ontologies, communication systems, spatial information processing, etc.). The design and development of information systems (IS) has become a major topic in computer science. As mention by (Callaos & Callaos, 2002; Cohen, 2009), the definition of IS has been growing in diversity and complexity. The proposed definitions of IS are often subjective and contradictory, evolving over the years. The authors of (Cohen, 2009) indicate that (Sprague, 1980) argues that IS comes from diverse disciplines such as computer science, management sciences and economics sciences. This old definition from the early years of the field was very business data- oriented. Modern definitions usually focus on the capacity of computer-based IS to mix hardware, software, databases technologies to collect, store and analyse data (Stair & Reynolds, 2011) in diverse application fields. Data is the heart of the IS field. IS relate to a wide variety of applications, but the use of this technology in agriculture and environment is relatively behind the applications in the industrial sector, as for the other technologies (P. Papajorgji & Pardalos, 2006). Information systems in the area of agriculture and environment have some particularities that are not seen in information systems in business; agricultural and environmental systems have to take into consideration two additional elements such as space and time. Thus, the space element makes it necessary the use of Geographic Information Systems (GIS) to represents maps of different results. Especially in the field of developing decision support systems in agriculture and environment, it is required to use great amount of weather data to study the impact of weather conditions on crop production. Therefore, simulation over many years of weather data is common to depict development patterns of crop production. Recent publications show that efforts have been made in the field of information systems for agro-environment to use advanced methods for designing and developing information systems in agriculture and environment. The International Journal of Agricultural and Environmental Information Systems (IJAEIS) has been created in 2010 in order to publish scientific papers in this new area. The mission of IJAEIS is to present holistic approaches to the design, development, and implementation of complex agricultural and environmental information systems, addressing the integration of several scientific domains such as: agronomy, mathematics, economics, and computer science. A goal of the journal is to provide the latest innovative technologies in the construction of complex agricultural and environmental information systems and discusses the analysis, visualization, management, and dissemination of information, as well as their effective integration and their use in the decision making process. IJAEIS started its publishing activities since 2010. In the present paper, we offer an overview of 50 scientific articles published in the journal between 2010 and 2013. In order to present a better picture of the nature of papers published in IJAEIS, we have analysed and classified papers according to scientific subjects presented. A same paper could deal with different scientific fields, but we have assigned each manuscript to one main topic - the topic related to the presented scientific contribution. Three papers are surveys on different subjects (6%) such as data mining, crop simulation and software engineering. The main topic presented in most of the papers published in IJAEIS is related to spatial data analysis and processing (25 papers out of 50). 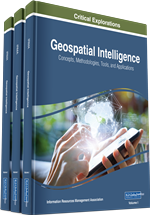 This topic is also found in several other papers, but as a secondary subject; a total of 34 papers are related to spatial information management, representation or analysis. A large part of the papers published in this category deal with remote satellite or aerial image analysis (Campbell & Wynne, 2011; Khorram, Nelson, Koch, & Van der Wiele, 2012; Klemas, 1984). These statistics show that the scientific research related to the spatial features of data is clearly important in agriculture and environment and is the focus of many research publications.